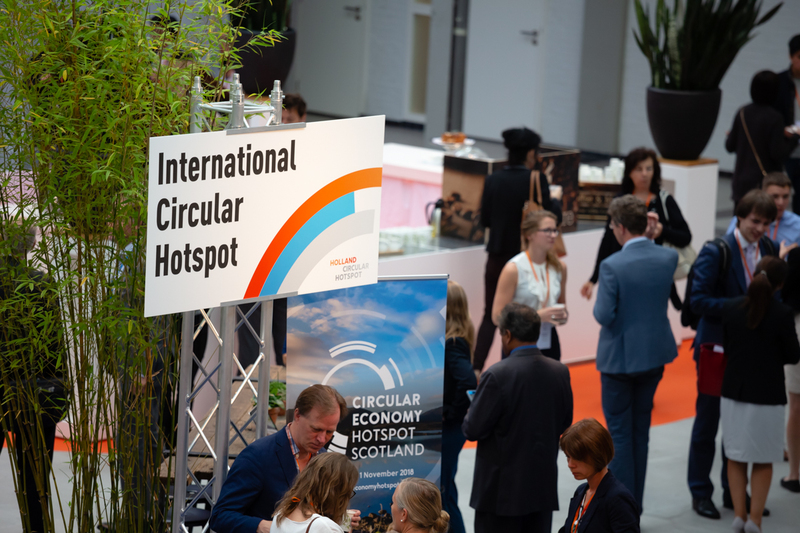 From 11-14 June the Netherlands showed why the circular hotspot is during the Holland Circular Economy Week. During this week, organized by the platform Holland Circular Hotspot, we received over 150 visitors from 20 countries and regions that want to cooperate with the Netherlands. The focus was on sharing knowledge, business development and facilitating partnerships to accelerate and upscale the transition to a circular economy. During the week, activities were organized to give international visitors an idea of ​​what the Netherlands has to offer in the field of circular economy. As a kick-off for the week full of CE knowledge exchange, the entire international delegation of more than 150 people was welcomed by Secretary of State Stientje van Veldhoven. The rest of the week consisted of speeches by inspirational speakers such as Jacqueline Cramer, Jan Peter Balkenende, Thomas Rau, but also panel discussions with Joost de Kluijver from startup Closing the Loop, Ladeija Godina Košir from Circular Change (Slovenia), Douwe Jan Joustra from C & A Foundation. After a day full of visits to Dutch circular innovations, the week ended with matchmaking. With more than 500 participants throughout the week, 200 matchmaking meetings and 6 Memoranda of Understanding, Holland Circular Hotspot looks back on a successful event. See full Press release Holland Circular Economy Week. See also our special HCEW page.